Humpback Whales & Me - Loveland Living Planet Aquarium, Draper Ut. Finding inspiration in Ron Mueck's hyper-realistic sculptures, Stephen (aka Tusk) wanted to try his hand at the medium, his first being a small african elephant in 2010... it was true love and purpose from then on. For the previous eighteen years Stephen successfully built a career as an accomplished art director and graphic designer for several leading consumer brands. In parallel, he undertook an intensive study of sculpture with one of Utah’s leading artists while also learning large-scale fabrication under some of the most nation's most experienced journeymen. Augmenting those skills, Stephen quickly secured some of Utah’s largest public commissions and continues to push design and techniques as a sculptor and fabricator. In 2015 Stephen was juried into an elite group of international wildlife artists, Society of Animal Artists, one of two members residing in the state of Utah. 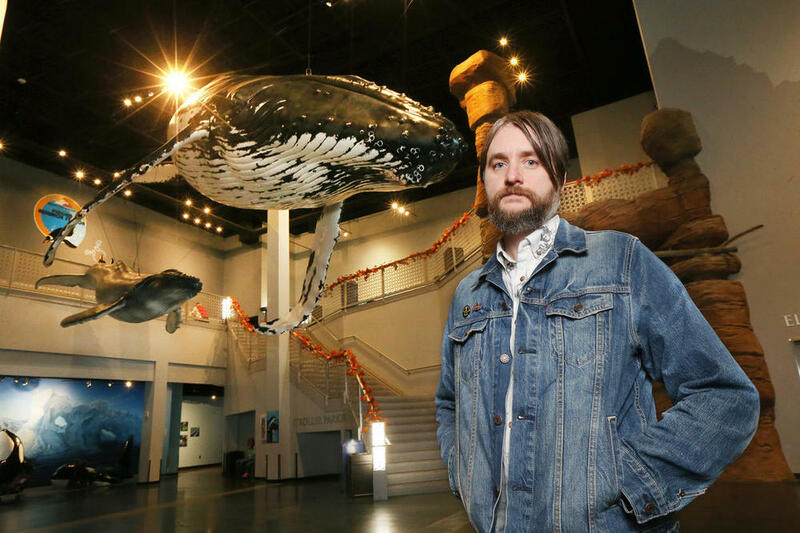 Now working under his brand, Tusk Sculpture, Stephen is focused on innovating cost-saving methods that ensure that these large scale commissions are accessible to organizations who offer them to the public.